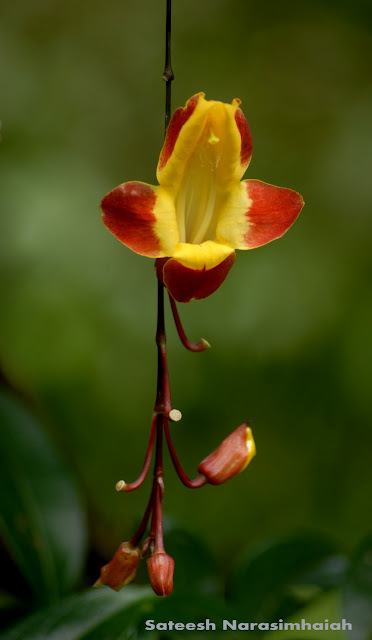 Bombax ceiba or Boorugada mara is seen en route to Mavinahalla in Lakkavalli range. The tree is more than 200 years old and has a 32 feet trunk. 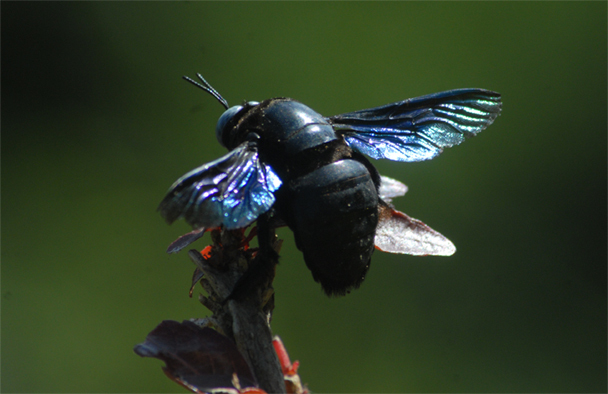 It provides food for squirrels during summer. 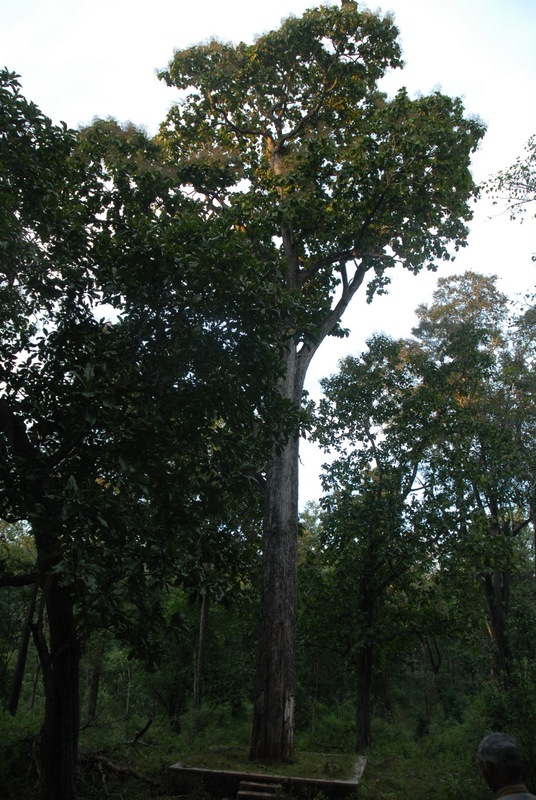 Terminalia Tomentosa or Matthi mara is found in Balegundikere in Thanigebailu. 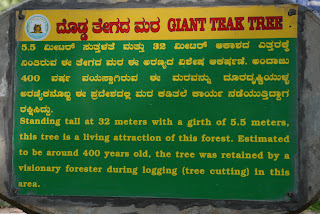 The tree has 22 feet trunk and is 300 years old, says environmentalists. 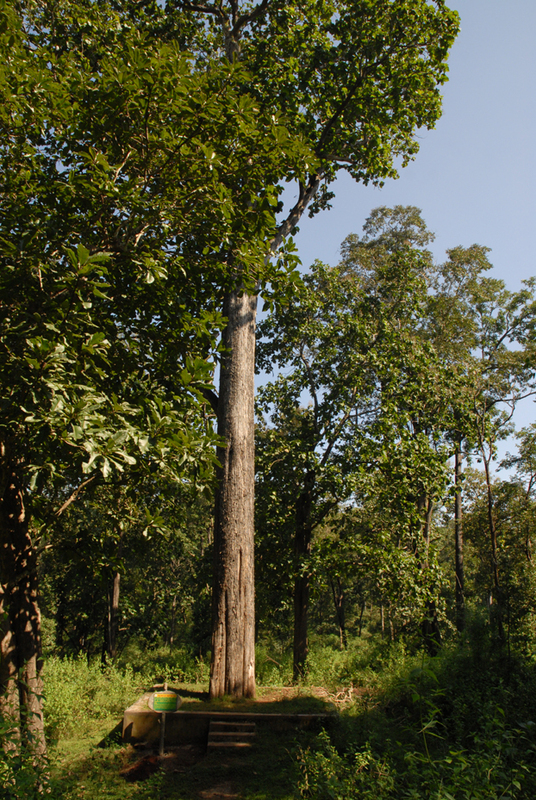 Teak wood is found en route to Kesave from Muthodi. 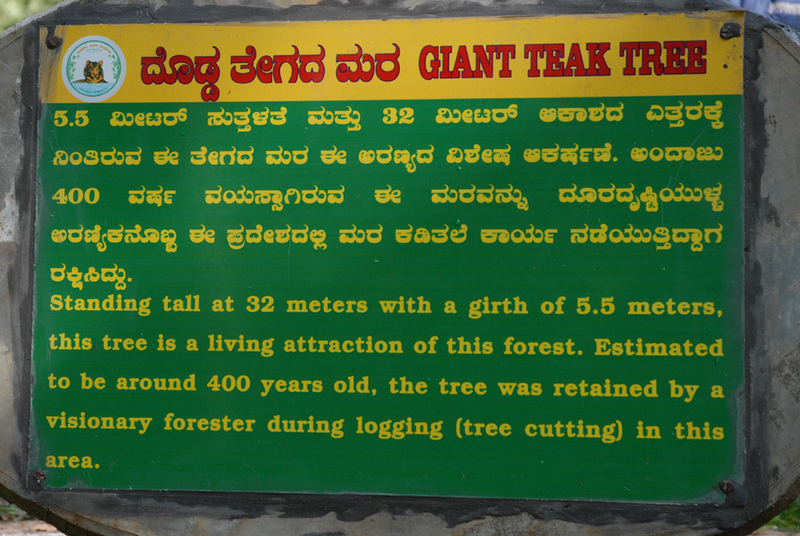 The tree is 400 years old and has 17 feet trunk. The Bhadra Wildlife Sanctuary in the Chickmagalur and Shimoga Districts, is one of the most fascinating sanctuaries. 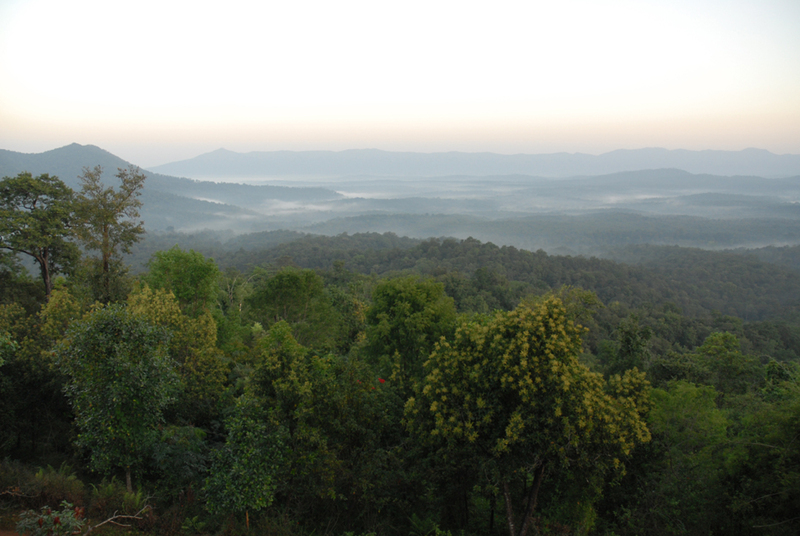 Bhadra wild llife Sanctuary is located about 38 Kms North-West of Chikmagalur. Bhadra Wildlife Sanctuary is popularly known as Muthodi Wildlife Sanctuary, housing some of the great wildlife reserve like the most endangered species- the tiger. 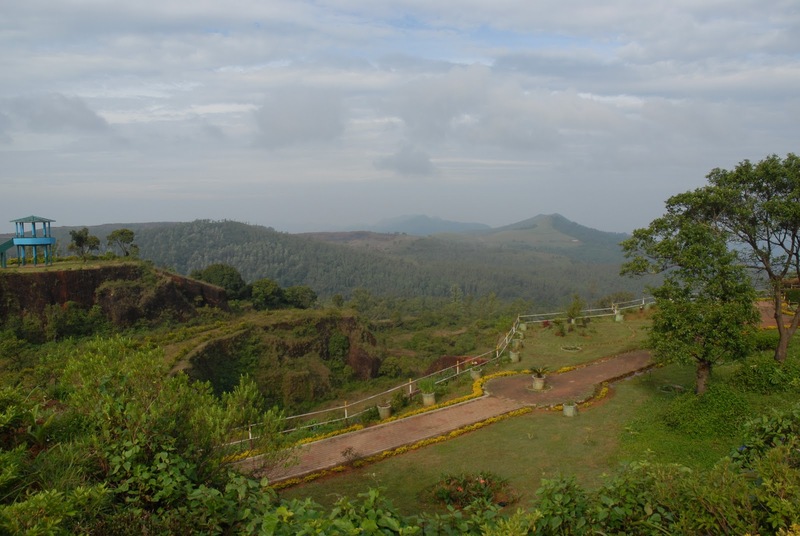 The sanctuary is surrounded by Mullaianagiri, Hebbegiri, Gangegiri and Bababudangiri hills and has the tributaries of the Bhadra river flowing through it. A diverse range of wildlife is found in the sanctuary like bison (Gaur), Elephants, Tiger, Leopard, Sambar, Chital spotted deer, Boar, Porcupine, Muntjac, birds like the Peacock, Parrot, Partridge, Pigeon, Munia and Bee eaters, and reptiles such as King Cobras and Indian Rock Pythons. 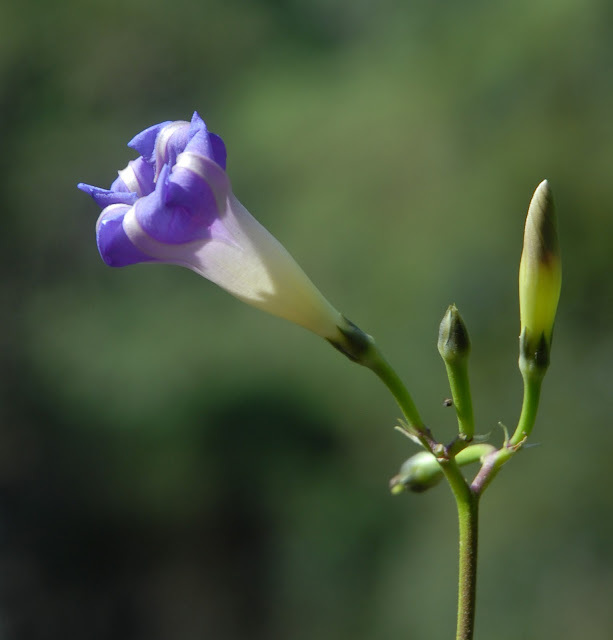 More than 250 species of bird life, many of which are widespread to the Western Ghats, are spotted here. Marsh crocodile, flying lizard, monitor lizard and different kinds of snakes are some of the reptiles found here. 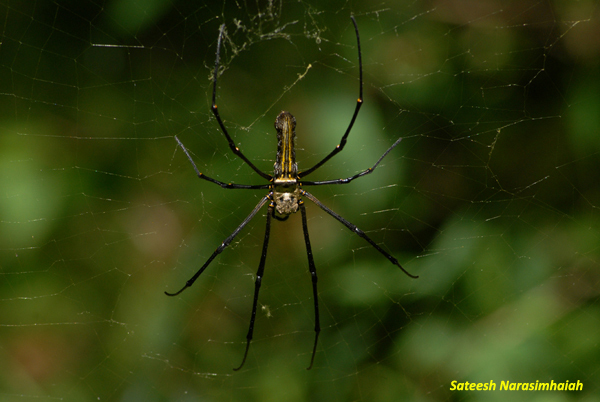 October to February is best time to visit Bhadra Wildlife Sanctuary. 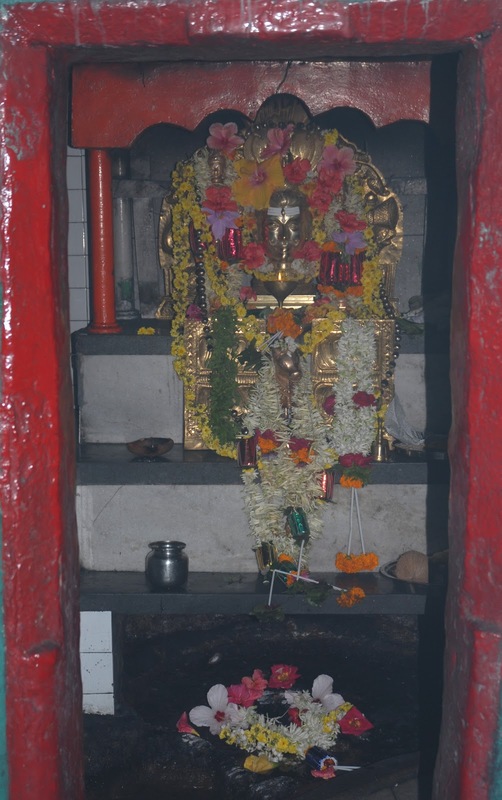 Kemmannugundi (or Kemmannagundi) derives its name from three Kannada words - Kempu (red), mannu (soil) and gundi (pit) and means a place with red soil. 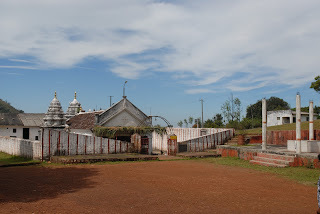 Kemmannugundi is about 53 km from Chikkamagaluru and 20 km from Lingadahalli by road. The nearest National Highways, NH-206 or NH-48, connect to Bangalore. There is another route to reach which is via Mullayanagiri, a scenic drive. The nearest railway station is 35 km away at Tarikere. The nearest airports are at Mangalore (150 km) and Bangalore. 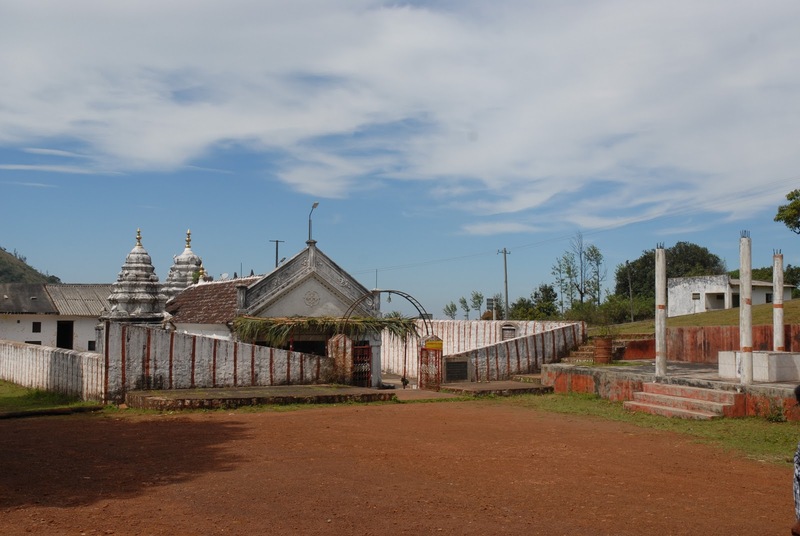 Kemmannugundi was established as the summer retreat of Krishnaraja Wodeyar IV. He later donated this resort to the Government of Karnataka. 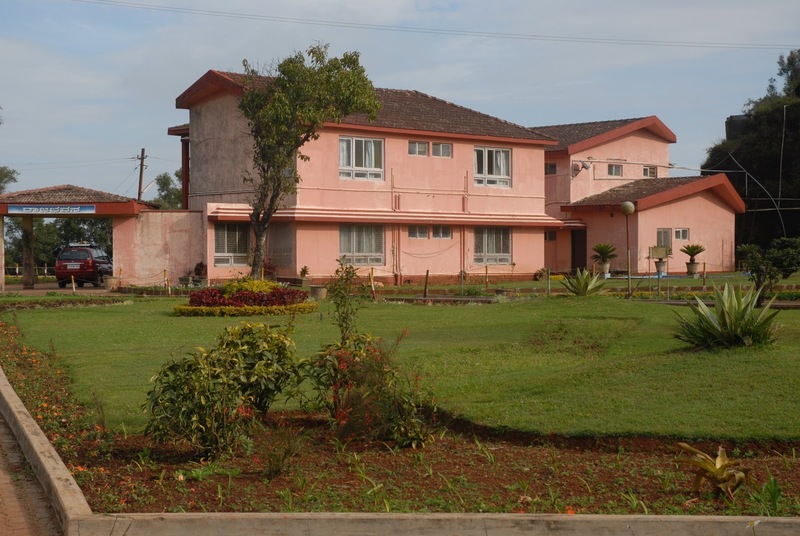 The Horticultural Department of Karnataka now develops and maintains the resort and its surroundings. 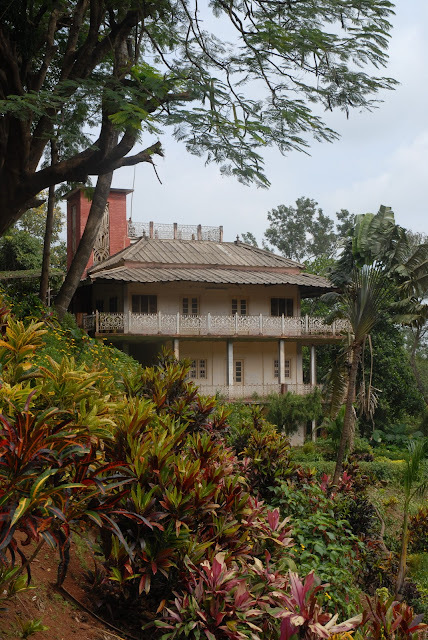 Raj Bhavan is a guest house located in Kemmannugundi and offers a spectacular view of the surrounding hills. The view of the sunset from Raj Bhavan is something to be cherished. Rose garden, as the name suggests is a garden of roses maintained by the Horticultural Department. Various varieties of roses are cultivated here. A downhill trek of about 8 km from Raj Bhavan takes one to Hebbe Falls where water streams down from a height of 168 meters in two stages to form Dodda Hebbe (Big Falls) and Chikka Hebbe (Small Falls). 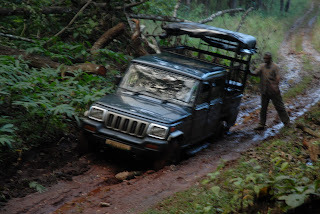 Jeeps are available from one particular point to Hebbe falls and they charge around 700/- to 1200/- (for up and down depending on no of persons). We can take a trek if you have enough time. 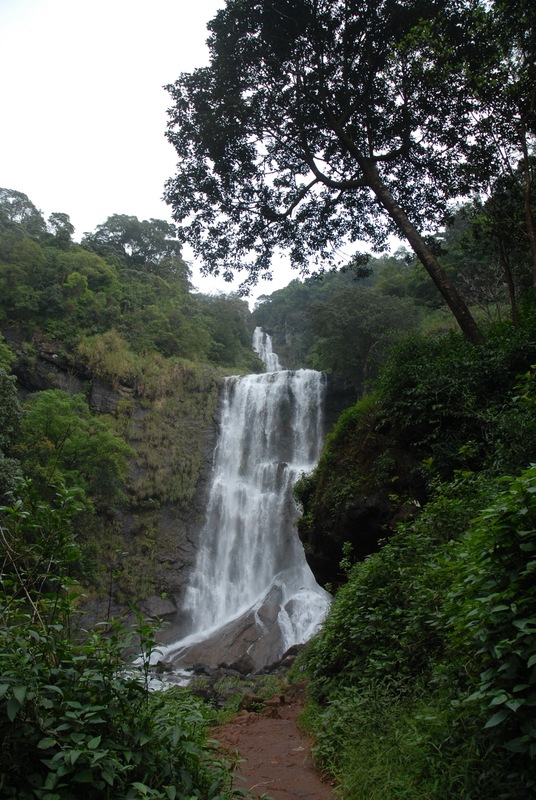 Kalhatti Falls or Kalahasti Falls is located at Kallattipura in Chikmagalur district of Karnataka. 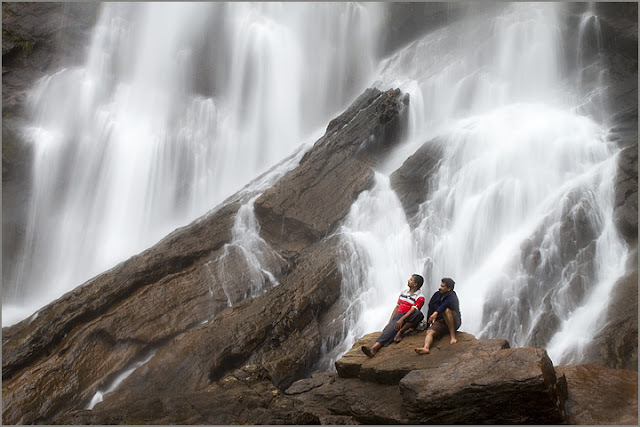 The waterfall is only 10 kilometers away from Kemmangundi hill station. 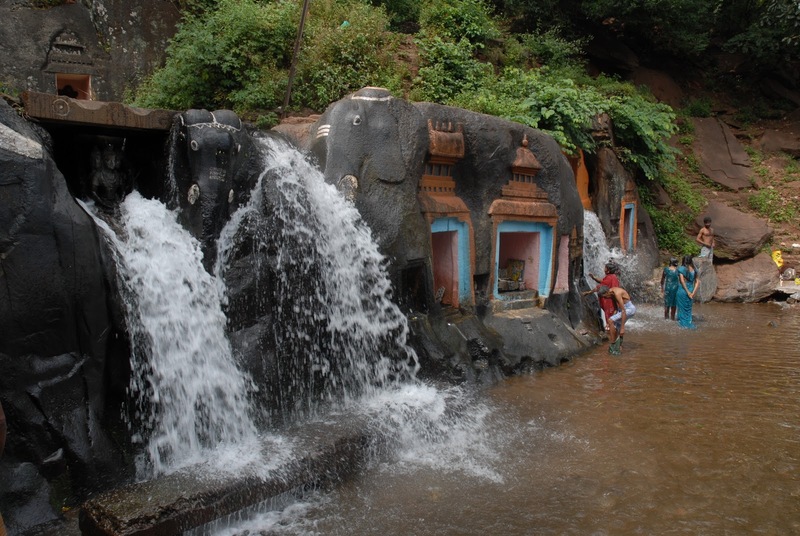 It offers an excellent view of the cascading water from the Chandra Drona Hill from 122 meters (400 ft) above in front of the Veerabhadreshwara Temple dedicated to Lord Shiva. Its also hot spot among the trekkers who carry out their trekking exercises on the adjoining hills and mountains. Trekkers climbing along the mountainous terrains enjoy the picturesque view. 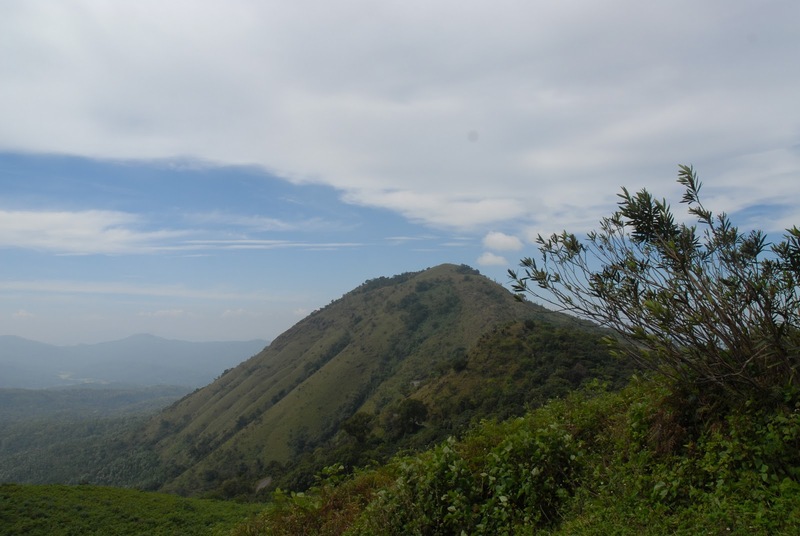 With base in Tarikere which is 35 km from Kemmangundi, trekkers climb the hill slopes to enjoy the panoramic view of the verdant valleys below. 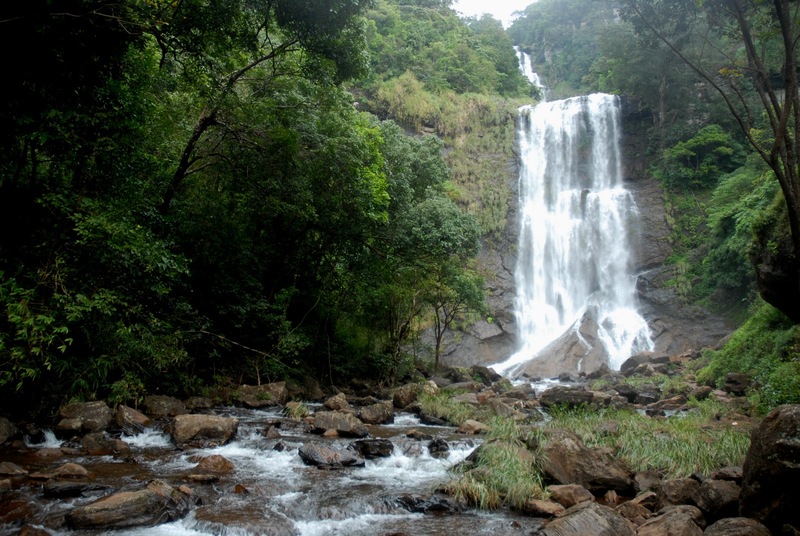 Kalhatti Falls is located one hour from Birur (Birur - Kadur Taluk in Chikmagalur District). Birur is near Kadur, between Arsikere in Hassan Dist and Bhadravathi in Shimoga Dist. From Birur, Kalhatti is accessible through Lingadahalli. The route from Bangalore is through Tumkur - Tiptur - Arsikere - Kadur - Birur on NH206. 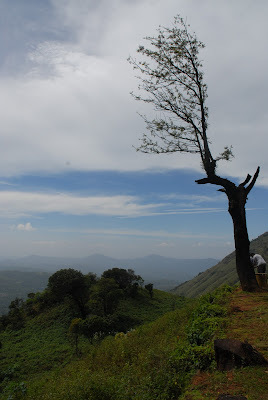 The road from Birur to Lingadahalli is about 15 km from there, there is a fork whose left arm goes to Santaveri and continues towards Chikmagalur and the right arm goes towards Kalhatti falls and Kemmangundi. How to get there: Birur is a junction well connected on the Bangalore-Shimoga, Bangalore-Kolhapur, Bangalore-Hubli or Yeshwantpur-Vasco routes. The Shimoga Express leaves Bangalore at 2310 and reaches Birur at an unearthly hour of 0315. Buses from Birur towards Lingadahalli are at 0545, 0630 and quite regularly after that. These buses take about 30 mins. You can hire private vehicles to take you till Kalhattigiri (another 30 min. ride on road)from where you can begin the trek. Excellent Blog with nice information and great write up !! Hebbe falls is very nice. Nange thumba ista aythu. e photos nodi thumba kushi aythu. i like this so much. thank you humaaaaaaaaaaaaaaaaaaaa for nature. Nice post with well written about your experience. Thanks for sharing this wonderful blog with lots of information. It inspires people to make their to this place. If your making your way to this place then book your bus tickets in advance in Bus Ticket Booking portal to comfort your trip.